not forgetting an awful lot of patience. 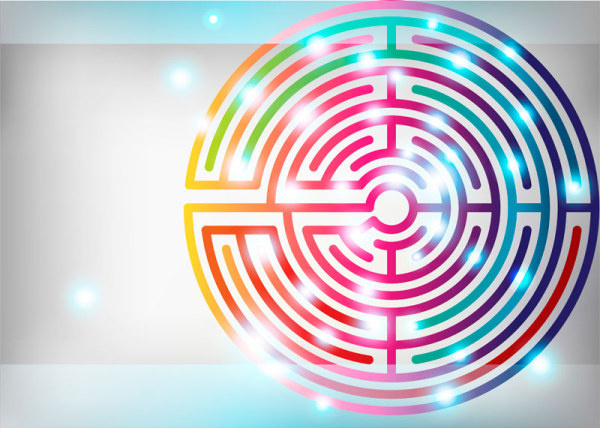 Now it might look quite simple to the average person in the street, but this maze and others like it are a great aid in developing concentration skills. So much so, the memory workshop group at BASIC in Salford has been using them as a measure of how long our concentration goes for before it slips. The aim was to solely get around the maze – without concentration slipping. If we got distracted, we were sent back to the start of the maze and began again. Funny thing is i enjoyed this exercise, probably because i enjoy doing puzzles. As part of the session, we were given two maze puzzles to do. Now, the aim wasn’t to complete the puzzles – more to concentrate on doing them and maintaining the focus of going round the mazes. As we did the mazes, we were asked to note when our attention slipped – as usual, mine went around the hour when we had a tea break in the café!! !